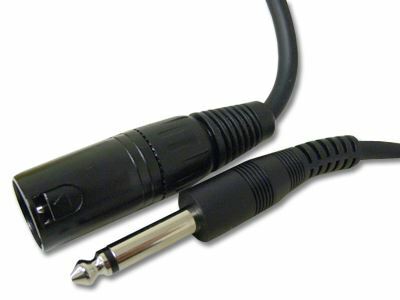 15FT Audio Cable - Male XLR to 1/4 inch Mono Plug. These Microphone Cables are great for many different applications like making a speech in school or for adding a little karaoke to your home stereo. These cables are Black PVC jacketed cable and shielded. Male XLR to Male 1/4"